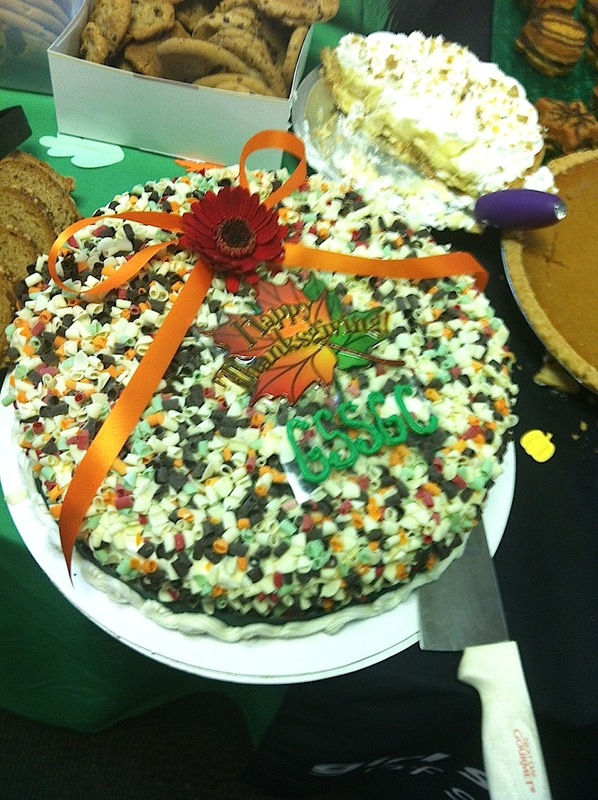 Girl Scouts and Boy Scouts share a Thanksgiving feast! 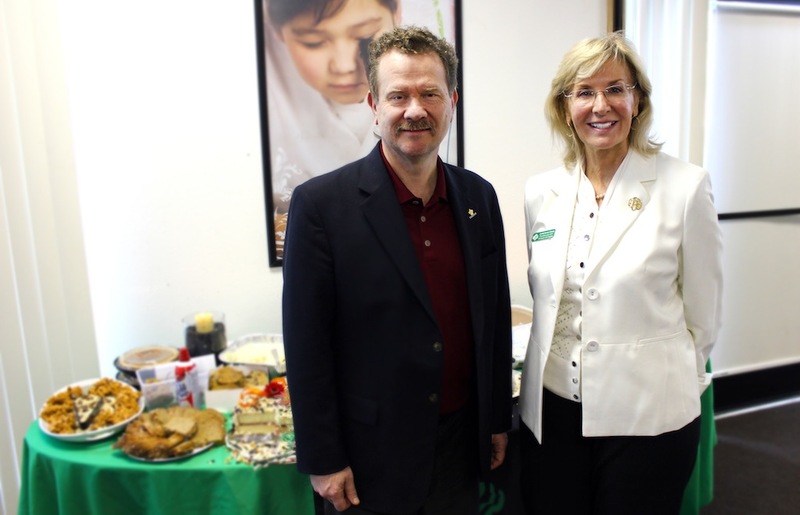 Mr. Joseph Daniszewski (left), who is the Executive and CEO of the Inland Empire Boy Scout council, with Ms. Cynthia Breunig (right) the President and CEO of the Girl Scouts of San Gorgonio Council at the annual GSSGC Thanksgiving potluck. The Girl Scouts of San Gorgonio Council celebrated the Thanksgiving holiday with an annual employee potluck in Redlands last Tuesday, November 26. Girl Scout employees gathered to share a traditional meal of turkey and mashed potatoes, as well as a wealth of international foods to celebrate the council’s diversity. The feast included over 35 different dishes baked, fried, boiled and roasted by the staff. Staff members from Boy Scouts of the California Inland Empire Council were invited to join the festivities as special guests. Last year, the Girl Scouts attended a Boy Scout Christmas luncheon. Among these guests of honor was Joseph Daniszewski, executive and CEO of the Inland Empire Boy Scout council, who gave a toast to the bonds of scouting that unites both organizations. “We are very honored to be here and enjoy all this delicious food with the Girl Scouts. Although I personally have two boys, Eagle Scouts Michael and Joseph, my wife was a Girl Scout leader so we understand the importance role of Girl Scouting in our home,” said Mr. Daniszewski. Girl Scouts of San Gorgoino President and CEO Cynthia H-Brenuig introduced the Boy Scouts at the Thanksgiving feast; Ms. Breunig and Mr. Daniszewski took the opportunity to discuss how the two organizations might work together on future crossover programs for both Girl Scouts and Boy Scouts in the Riverside and San Bernardino area. Previous Previous post: GIRL SPEAK: Cozette’s 2013 Costa Rican adventure with Girl Scouts! Next Next post: GIRL SPEAK: I love being a Girl Scout! How selling Girl Scout cookies helped me start my own business.